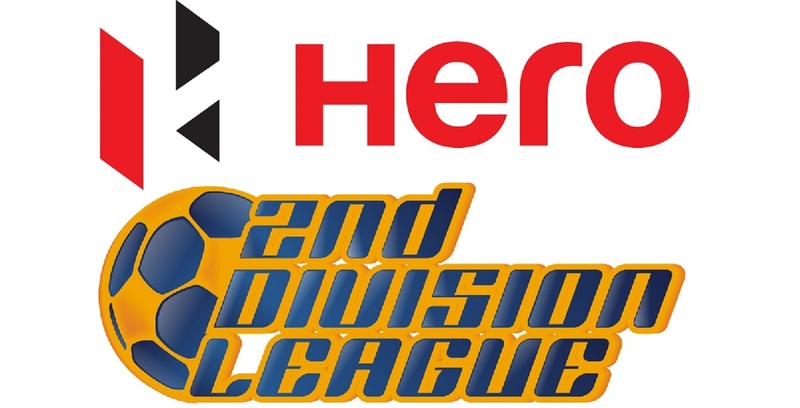 Kozhikode, November 30, 2018: The Hero I-League encounter between Gokulam Kerala FC and Churchill Brothers FC Goa ended in a 1-1 draw with both the teams sharing the spoils at the EMS Corporation Stadium, Kozhikode. 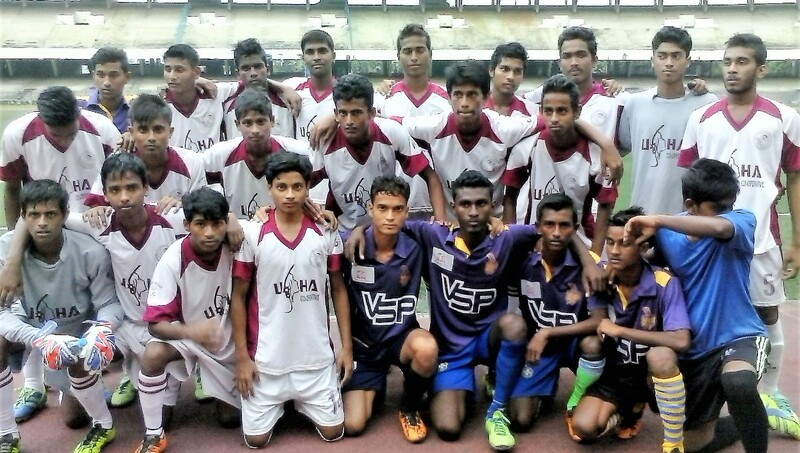 Willis Plaza scored in the 5th minute giving the Goan team an early lead but later in the first half, a showcase of individual brilliance from Gokulam Kerala FC’s Arjun Jayaraj saw the hosts equalise in the 36th minute. Arjun Jayaraj was rightfully declared the Hero of the Match. The first half kicked off with the hosts Gokulam Kerala FC playing in Maroon while the visitors Churchill Brothers FC Goa were in sky blue. Churchill Brothers today took on the field riding high on a convincing win they garnered against Kolkata giants Mohun Bagan in their last encounter and true to their form they started the game on an attacking mode with Willis Plaza leading at the forefront. Churchill were the ones in fact who drew the first blood as early as the 5th minute through a brilliant goal from their striker Willis Plaza from an equally outstanding pass from Lamgoulen Hangshing. Willis Plaza is now the highest goal scorer in the Hero I-League with six goals to his credit. 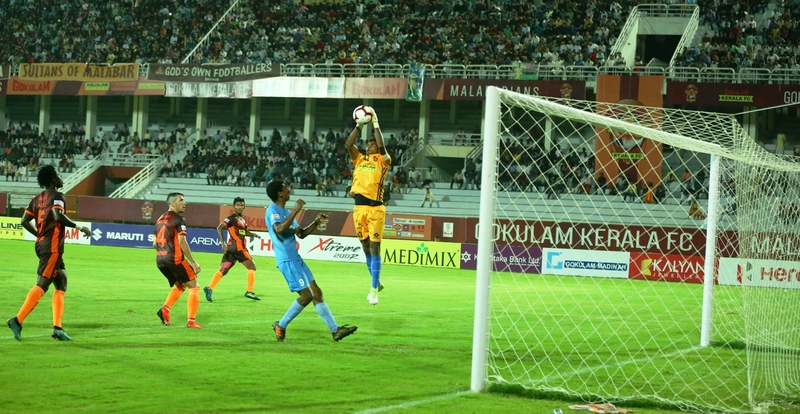 Soon after, Gokulam Kerala came really close to an equaliser but couldn’t when a good pass from Antonio German to Rajesh could not find the right direction to the back of the net. On the contrary, Churchill Brothers kept pressing hard with regular attempts to score utilising the gaps in the Gokulam Defence but could not capitalise on their lead. 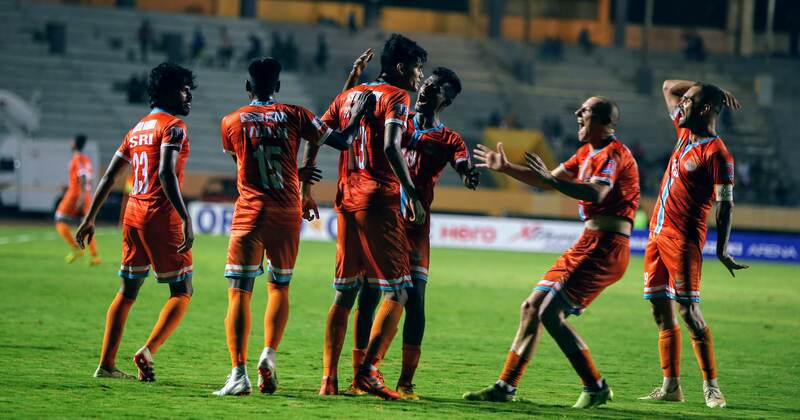 Gokulam, who were visibly taken aback by the early deficit, slowly tried increasing their pace and attacks but were unable to convert the good opportunities that came their way. 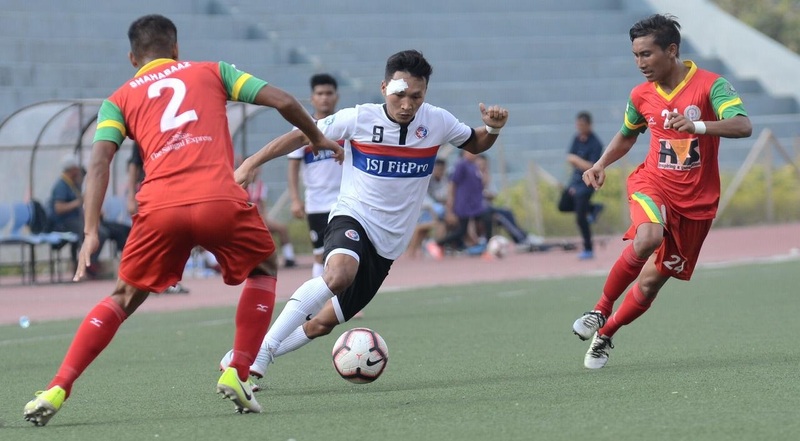 Their efforts soon reaped results when Arjun Jayaraj received the ball inside the box from a pass from Christian Sabah and made no mistake in scoring an outstanding equaliser for the hosts in the 36th minute. The game thereafter changed quite a bit with Gokulam Kerala FC pressing harder and making a few attempts to score as well, but the Churchill defence line stood strong as a wall along with their Goal Keeper James Kithan to deny the hosts any chance to score and take the lead in the first half. The second half began with Gokulam Kerala FC pressing hard for a lead from the 46th minute onwards. The hosts, however, could not convert the beautiful opportunities that came their way to earn a lead in the game. Some of them were from Churchill Brothers also went haywire when they couldn’t really strike out right enough to find the back of the net. 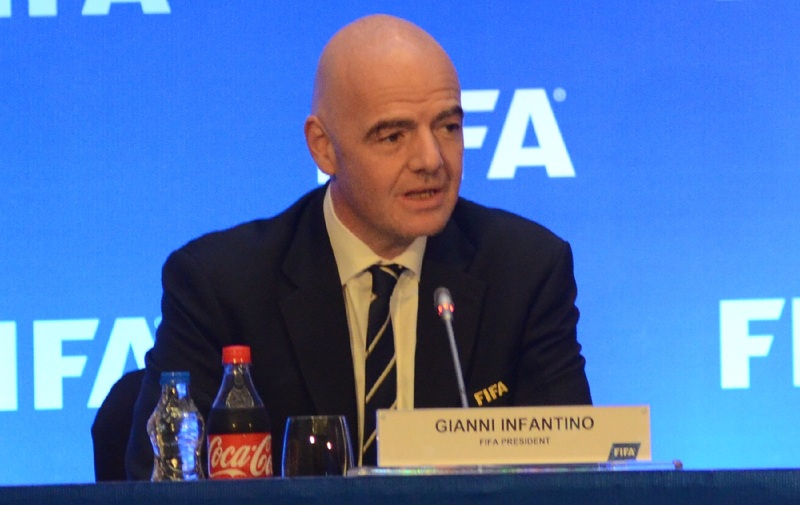 The intensity of the game could be judged by the simple fact that between both the teams a total of 15 shots were attempted in the first 60 minutes of the game. Gokulam Kerala FC led these statistics with 9 shots to their favour while the visitors had only 6 shots to their credit. Arjun Jayaraj who was rightfully adjudged the Hero of the match played a fantastic game today as the chief playmaker for Kerala. 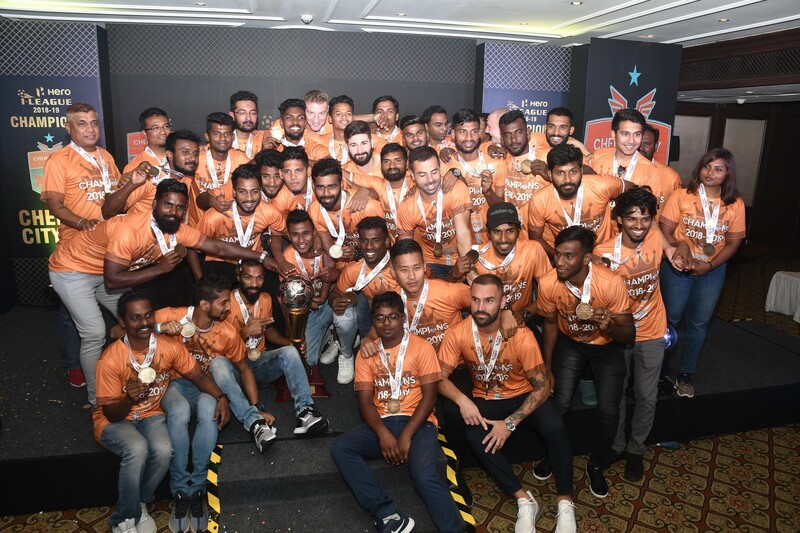 However, his efforts were not really rewarded as the striking force of Gokulam Kerala FC somehow could not get the required finish to walk away with a win. The dying minutes of the game saw both the teams pressing hard to find that elusive lead that they were vying for but some failed connections and a couple of interesting saves at both ends ensured both Gokulam Kerala FC and Churchill Brothers FC Goa walk away with a point apiece. Gokulam Kerala FC will now travel to Kolkata to take on Quess East Bengal FC on 8th December 2018 while Churchill Brothers FC are scheduled to face Aizawl FC in Goa on 9th December 2018.